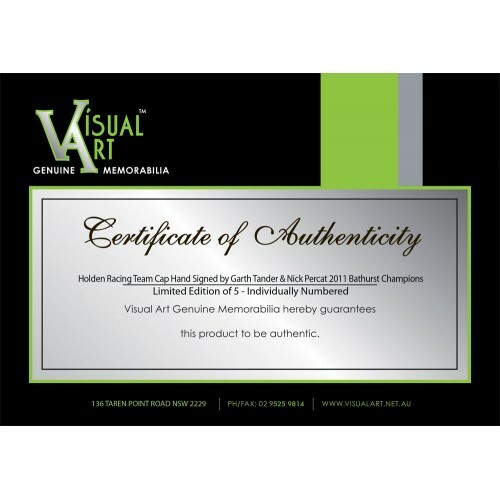 This vary rare piece of memorabilia is a must have for any HOLDEN Fan. 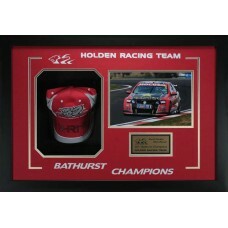 Contained within is a hand signed team Holden Racing Cap from legendary drivers Garth Tander and Nick Percat. 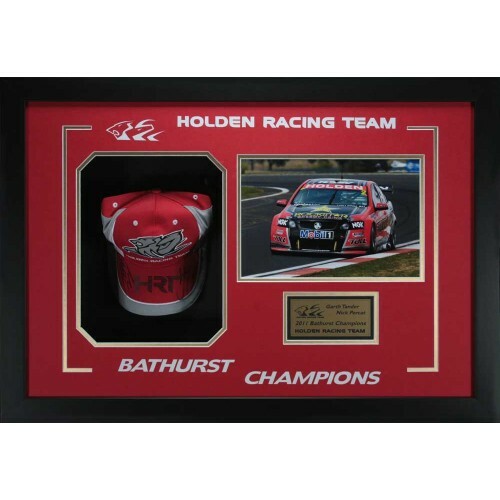 Magnificently presented this item is made available to only 5 lucky people capturing the 2011 Bathurst Champions and Gold Plaque listing the Drivers details. This is an Item that would make an Amazing gift for that someone special.